. @TeddyOutReady: Arrow: The Complete Sixth Season Now Available Blu-ray/Digital | Warner Bros.
Arrow: The Complete Sixth Season Now Available Blu-ray/Digital | Warner Bros. I am not sure how one person can be Mayor of Star City, father, The Green Arrow, friend, supporter and a leader at the same time but Oliver Queen can. Sixth season he arrives to prove that he can handle everything. After the explosion on Lian Yu, Oliver Queen returns home to face even more challenges. Building relationship with his son the Green Arrow never realized he had one is not the easiest task even for the experienced fighter. The Green Arrow has a great team that supports him in any occasion, from vigorous fights to family matters, Oliver Queen knows he can rely on them. Once the FBI starts an investigation to find and prove that Mayor Queen carries a double identity, his team member takes his responsibility of being The Green Arrow. Though it was not a bad idea at that time and Spartan as new Green Arrow learns a lot being a leader and the boss. Nevertheless John's attempts to hide his hand trembles made his life much worse and led him to a hospital bed. The number of enemies The Green Arrow has is almost endless. I watched the series and started thinking that this guy has so many villains to fight with every single day and night. Oliver Queen barely finds time to spend with his son and manage his personal life with Felicity Smoak, The Green Arrow team member and tech genius. The series are in a very fast-paces mode and you can watch physical fights and emotional struggles in every episode. Though The Green Arrow is a fictional fantasy story, their human relationships not much different than we have in our everyday life. The characters face same challenges as real people such as how to build strong families, where to find dedicated friends, how to have strong relationships with kids, how to be better parent, brother, partner and leader. Having superpower helps a lot, but even more power is needed to build strong ties in the community. Disk 2 of Arrow: The Complete Sixth Season contains really cool crossover with Arrow, Supergirl, The Flash and Legends of Tomorrow. In that episode the Team fight Nazi invaders who arrived from Earth's mirror planet called "Earth-X". The superheroes meet their Nazi ghost copies whish tried to ruin The Flash's wedding ceremony. Nazi invasion does not sound nice, it is an opportunity for superheroes to see themselves from another side of the Universe and who they can become chasing the wrong goals. Plus, we learn that Felicity does not want to marry Oliver Queen and wants to keep their relationship on as they are. 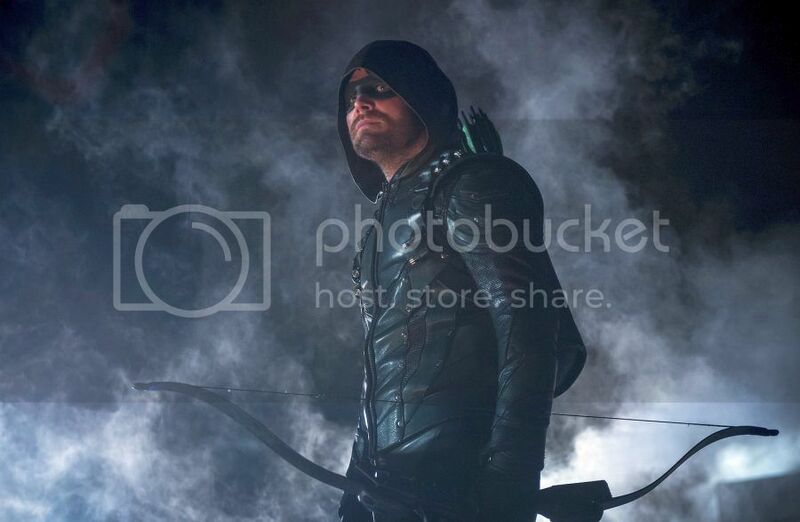 Does Star City needs The Green Arrow and his Team for protection from The Dragon, Cayden James, Vigilante and many others or the police can handle them all? Just follow the stories. 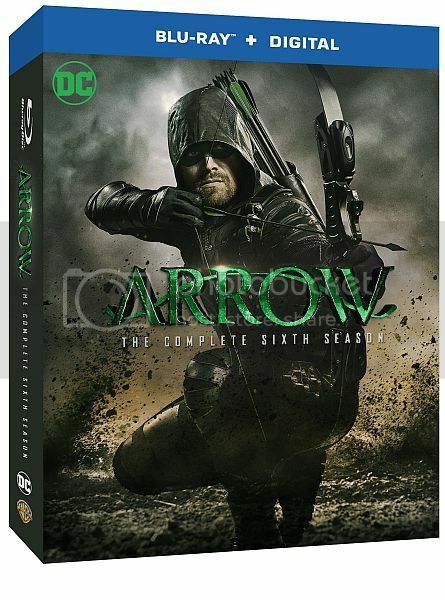 Arrow: The Complete Sixth Season is now available of Blu-ray/ Digital and we are looking forward to season 7, hopefully the great one!